If you need short-term credit, a credit card can be an excellent solution – or the start of a horrible debt spiral. By being pro active and obtaining a short-term line of credit before we actually need it, we can make smarter decisions and save ourselves a lot of money and trouble. Running out to get a payday loan or starting to use whatever credit card we happened to be offered is rarely a good idea. 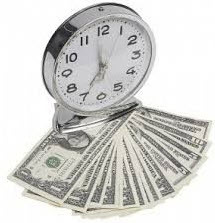 Instead, it is financially wise to sit down and arrange for a line of credit well before we need it. Even if you prefer not to use credit in your everyday life, it can still be a good idea to have access to a line of credit for emergency situations. If you live in the United States, it can also be a good idea to start building up your credit score by using credit. Many employers will for instance do a credit check on prospective employees and prefer to hire people with good credit scores. Here are a few examples of things to consider when you chose between various solutions for short-term credit. What does the credit cost when you’re not using it? If you only plan to use your line of credit for emergencies, you are probably best off with a solution that doesn’t cost you anything – or cost you very little – when you’re not using it. You can for instance go with one of the credit cards that doesn’t charge an annual fee. Of course, a credit card with an annual fee can be a good idea if it comes with a lot of perks that are beneficial for you, e.g. a cash-back system that will give you cash back even if you pay back the balance in full each month. What does the credit cost if you pay it off in full within 30 days? When it comes to very short-term loans that are paid back in full within 30 days, the terms and conditions vary greatly between different credit solutions. There are many credit cards that will not charge you any interest if you pay back the money owed within the time-frame stated on the bill. This means that you can use your credit card throughout the month, get the bill, pay the bill within the required time, and pay absolutely nothing in interest. Some companies will charge you for sending out the bill though, especially if it is a mailed paper bill and not just an electronic bill. 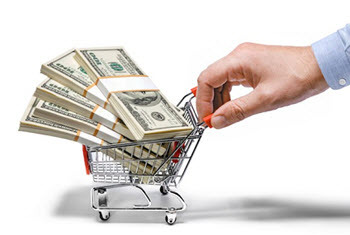 A payday loan is an example of a credit solution that tend to be very expensive. Sometimes the nominal interest is quite low, but when you factor in the fixed fee you see that the actual cost of the loan is very high. Pawning something at a pawnshop is another solution when you need to borrow money. Always check the terms and conditions of the loan before you go through with the transaction. What does the credit cost long-term? 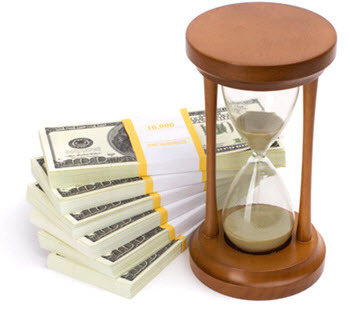 What will the credit cost if you can’t pay off your debt quickly? Make sure you know bout both interest rates and fees before you make a decision. It is important to know about the consequences of not paying off your debt according to plan. With a credit card, not paying the minimum each month can cause the interest rate to sky-rocket and your debt will start growing very quickly. It can also have a very negative impact on your credit score, both because of not paying and because the growing debt will impact your debt ratio. If you borrow from a pawnshop, they will not report your failure to pay to any of the credit agencies so it will not impact your credit score. Also, it will not cause a debt spiral where accumulated interest rates and late fees are added to the principal, burying you under an ever growing amount of debt. Instead, you lose the pawned item, and then the debt is cleared. How little and how much can you borrow? It is of course important to know the upper and lower limit of your credit. If the lower limit is very high, you will be required to borrow more money than needed. This is one of the problems with regular bank loans, they tend to come with a high lower limit. If the upper limit is too low, your credit will not be enough to help you in case of an emergency and you might be forced to seek out more expensive credit solutions to bridge the gap. Many credit cards come with an extra layer of consumer protection. You can for instance get special insurance for purchases made online using the credit card. With some credit cards, foreign travel paid for with the credit card will be automatically covered by travel insurance. If you live in the United States, your credit score can be of importance even if you don’t need a mortgage loan or credit card. It is for instance common for employers to do credit checks on prospective employees, or before promoting an existing employee to a higher position within the company. There are also many situations in our everyday life that involves credit without us realizing it. Renting an apartment is for instance a situation that does in a way involve credit and where your credit score can be important for the landlord even if you are willing to make a deposit.